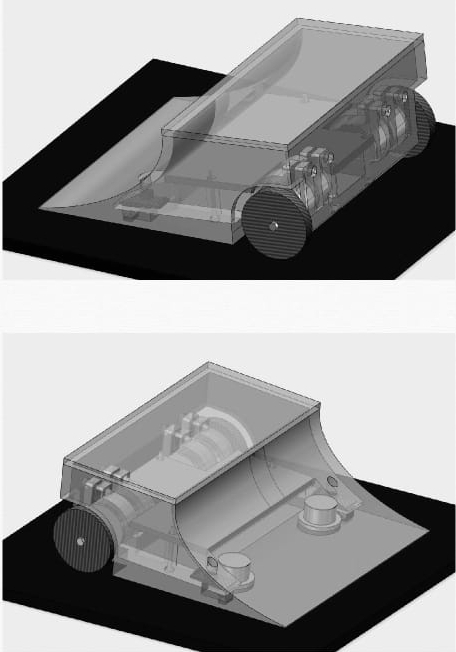 We are now very close to finishing the design of our Sumo-Bot. Our new design features a separated space that is able to store up to 2 kg of Iron-Power. This enables us to increase the weight of our robot up to the competition regulated limit. Having a heavy robot in a small form factor gives us incredible amounts of grip, whilst reducing the attack area we present towards other robots. We also continued without testing on jamming enemy IR-Sensors. As it turns out, increasing the power of our IR-LED from 0.04W to 3W doesn’t increase the jamming range by a significant amount. We would probably need a couple of 30W LEDs to effectively jam enemy IR-sensors. Due to the impracticality of such a setup we have therefore decided to drop the idea of jamming enemy IR-Sensors. Both these developments mean that we might after all finish our robot before the first meeting. So maybe we will not turn up with a crappy prototype, but the final design instead.